Live Nation BEC-Tero is proud to announce IMAGINE DRAGONS live in Bangkok for the very first time. The American alt-rock band will bring their Smoke + Mirrors Tour to the Impact Arena, Muang Thong Thani on 29 August 2015. 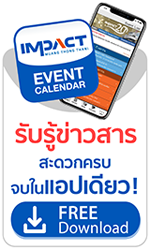 Tickets will be available via all ThaiTicketMajor outlets on 23 May 2015 (Saturday) 10am onwards.